In one of those increasingly common city moments, we discovered that Mimi, whom we met as part of the Quarantine Studio, went to school with Shirley whom I had met earlier last year at CDS. Along with Rosemary, another old classmate of theirs, we met for an early lunch of dim sum at Red Egg. 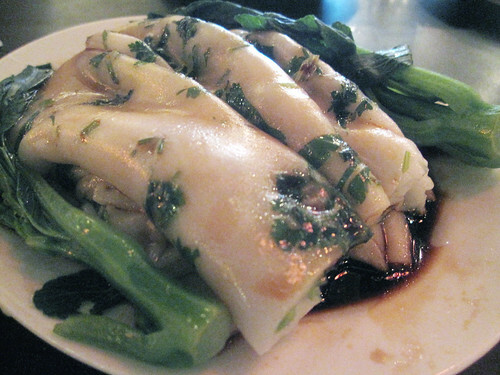 Everyone has dim sum favorites but no one had tried these steamed rice rolls with cilantro before. Unusual, but tasty.